Now that there is scarcity of free browsing tweaks, am trying my best to look out for cheap browsing plans atleast for you guys to be online. This plan am about to bring to your notice is a plan for people that don't download. This plan is for those that only browse the internet for latest and trending updates, and chat also and i must say its okay and cool to subscribe for 100MB for N100 and 50MB for N50. 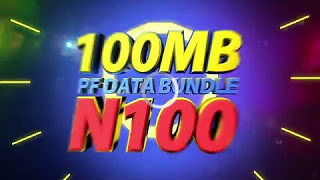 You will be given a data worth 100MB including 12 minutes of national calls to all networks with just 100naira valid for 7days. While the one for 50MB for 50 naira data plan last for 7days too and it offers you 50MB of data + 5 minutes of calls to all network. "Dear Customer, you have received 12Mins for National calls & 100MB. Bundle is valid for 7days. Dial *559*60# to view your bundle balance." For 50mb for N50, make sure you have at least 50 naira on your MTN SIM, then migrate to MTN BetaTalk plan by dialing *123*2*6# or sms BT to 131 in an SMS. Now go to your text message box and sms J12 to 142 and you will receive a confirmation SMS that you have successfully subscribed for this plan. How do you see this offer from Mtn? Hope you gonna go for it?